Necsa Laboratories are SANAS accredited for various Radioactivity-, Chemical- and Environmental Testing services. In the agricultural production industry, these services are used to ensure the environment that plant growth depends on is assessed, monitored and managed to ensure the best quality food. Food inherently carries potential risks which can be harmful to human health due to the manner in which it was produced and or manufactured. Food samples are tested by Necsa Laboratories to ensure it complies with quality and safety standards and specific requirements of retailers and exporters. Necsa is proud of having served industry for more than 20 years and will continue to do so. Our wide scope of ISO 17025 accredited methods is extended on an ongoing basis to provide for the needs of customers. Department of Agriculture, Forestry and Fisheries: regulates the safety and quality of agriculture and animal products, including imported, in terms of the Agricultural Product Standards Act 119 of 1990. Department of Health: ensuring that all foodstuffs are safe for human consumption in terms of the Foodstuffs, Cosmetics and Disinfectant Act, 1972 (FCD Act). This Act addresses the manufacture, labelling, sale and importation of foodstuffs. Matters regarding the hygiene of foodstuffs are addressed by the National Health Act, 2003, and the hygiene requirements at ports and airports including vessels and aircraft are addressed by the International Health Regulations Act, 1974. Department of Trade and Industry: the South African Bureau of Standards (SABS) falls under the jurisdiction of the DTI and controls canned meat and frozen and canned fishery products through the Standards Act, 1993. National Nuclear Regulator Regulations 388: No member of the public may receive a radioactivity dose of more than 1mSv per annum from any pathway including ingestion of water. Consumers expect and deserve protection against risks found in food, therefore, governments and international regulatory bodies have established laws and standards requiring compliance thereto to be proved with results from a competent laboratory. Trustworthy laboratory test results are also essential for lawsuits or litigation either amongst food producers or customers using food producers/retailers in cases where food quality has been found to be wanting or cause the outbreak of illness. Heavy Metal Contaminants such as Antimony (Sb), Arsenic (As), Cadmium (Cd), Lead (Pb), Mercury (Hg), and Tin (Sn). Other Elements such as Boron (B), Calcium (Ca), Carbon (C), Chlorine (Cl), Copper (Cu), Chromium (Cr), Fluorine (F), Hydrogen (H), Iron (Fe), Magnesium (Mg), Manganese (Mn), Molybdenum (Mo), Nickel (Ni), Nitrogen (N), Oxygen (O), Potassium (K), Selenium (Se), Sodium (Na), Sulphur (S), Uranium (U), Zink (Zn). Compounds such as Alcohol (C₂H₅OH), Ammonium (NH4+), Bromate (BrO3-), Carbonate (CO3−2), Hydrogen Carbonate (HCO3-), Nitrate (NO3-), Phosphate (PO43-), Sulfate (SO4-2), Sulphide (H2S). Physical Chemistry Characteristics such as Acidity (pH), Alkalinity (CaCO3), Chemical Oxygen Demand (COD), Electrical Conductivity (EC), Moisture Content, Sodium Absorption Ratio (SAR), Total Dissolved Solids (TDS), Suspended Solids (SS). Radioactive Contamination such as Americium (Am-241), Cesium (Cs-134 & -137), Carbon (C-14), Cerium (Ce-144), Cobalt (Co-60), Tritium (H-3), Iodine (I-129, I-131, I-133), Iridium (Ir-192), Plutonium (Pu-238, Pu-239, Pu-240), Ruthenium (Ru-103, Ru-106), Sulphur (S-35), Strontium (Sr-89, Sr-90), Technetium (Tc-99) and Uranium (U-235). Necsa is required to do environmental monitoring and has established the capability to do sampling planning and execution and is, therefore, able to assist with and/or provide these services. 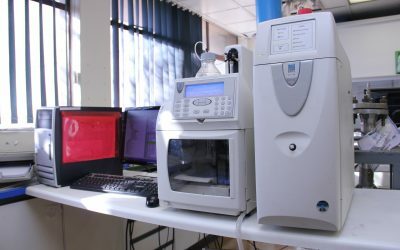 Necsa Laboratories is capable to provide all chemical and radioactive testing using preparation and analysis techniques and instruments, e.g. Microwave Digestion, Wet Chemistry, Atomic Absorption Spectrometry (AAS), Gas Chromatography-Mass Spectrometry (GC-MS), Inductively Coupled Plasma Mass Spectrometry (ICP-MS), X-ray fluorescence (XRF), Alpha- and Gamma radiation spectrometry. Products we are experienced in testing includes: edible fats and oils (margarine, olive oil, vegetable oils), mineral waters, food grade salt, vegetables, pulses, cereal grains, rice, wheat, fruits, canned fruits and vegetables, chutney, jams, fruit juices, red meat, corned beef, cooked cured pork, poultry meat, fish, milk, infant formula. All analyses are performed at the required sensitivity and accuracy for compliance with the relevant regulations and a variety of methods are SANAS accredited based on, inter alia, compliance with ISO 17025 and consistently excellent results from frequent participation in proficiency testing and inter-laboratory comparisons. 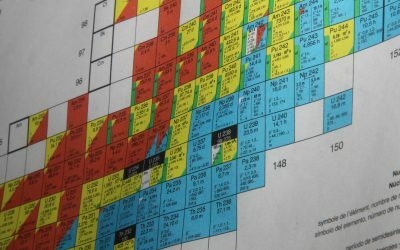 Our expertise in the analysis of radioactivity is acknowledged by national and international bodies such as the International Atomic Energy Agency. Our scientists are also involved in scientific paper presentations in local and international conferences of which most of the papers get published in local and international journals. They can provide expert advice on the required analysis and interpretation of results.